I have 45LC Star line new brass You are purchasing approximately 446 pcs of NEW 45LC Star Line Brass Total for this auction will be $100.00 SHIPPED if you take all of them. 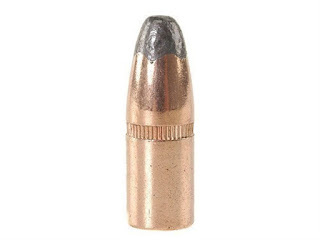 Otherwise a small flat rate box will run you $6.80 anything over $50.00 insurance extra Shipping will be determined at time of purchase USPS flat rate or FedEX p> You are purchasing approximately 351 pcs of NEW Primed Remington 44 Mag Brass. Total for this auction will be determined Shipping will be ORM-D FedEX street address lower 48 p>I can knock the primers out but the auction price remains the same. Shipping will then be Via USPS flat rate.$14.00 Payment money order or bank check your choice (PP ok) I'll invoice you Also have Virgin Remington 45LC @$37.00 per 100 pcs A small quantity of 180gr 430 dia cast and some Jacketed RN & HP 45's 44 cast 180 gr TC $13.00 per 100 bullets lubed,sized 15BHN Take all 500 and I'll include shipping HP are Rem. 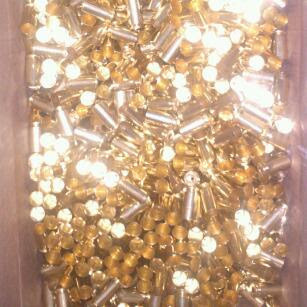 .452 dia 185gr HP $30.00 per 100 Rem. RN MC 451 dia 230 gr $27.00 per 100 Winchester 45 230 gr FMJ WB45mc230 117 pcs $27.00 40 S&W 155gr JHP Remington @ $26.00 per 100 I also have plenty of 158gr jacketed 357 hp, 9mm hp & MCRN, 40 hp , lead 30 cal , lead 38/357, 9mm Going over my inventory here this week. PM me here or an email to bpb4570@gmail.com These are cross posted and listed and may sell locally.